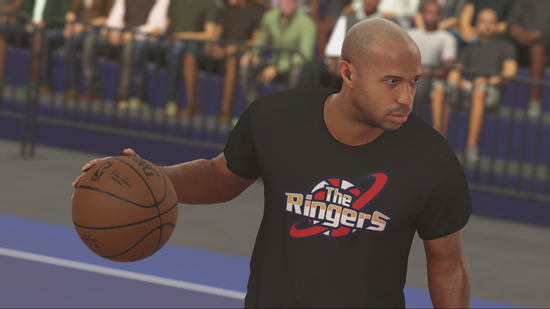 The all-new NBA 2K17 feature makes it easy for players to boost their MyPLAYER by keeping active in the real world. Once users connect their Fitbit tracker with NBA 2K17 on Xbox One and PlayStation 4, their real-world step activity can start working toward the 10,000 steps per day goal for receiving in-game boosts. After users reach the steps milestone, the game will prompt them to apply temporary +5 attribute boosts and success rate to their MyPLAYER in categories like agility, layups and dunks, and more that will significantly improving performance for the next five games played that day. With this integration, 2K is added to the growing list of brands that are part of the Works with Fitbit program, which lets developers, brands and users seamlessly connect the Fitbit platform to popular health and wellness apps, services and hardware products, and now games and interactive entertainment making it easier for consumers to achieve their wellness objectives. The NBA 2K17 Standard Edition is now available in both digital and physical formats on Xbox One, Xbox 360, PlayStation 4 and PlayStation 3, and Windows PC platforms. The integration between NBA 2K17 and Fitbit will be enabled for all users later this month, in time for the holiday shopping season. Developed by Visual Concepts, NBA 2K17 is rated PEGI 3. *According to 2008 - 2016 Metacritic.com and The NPD Group estimates of U.S. retail video game sales through July 2016.